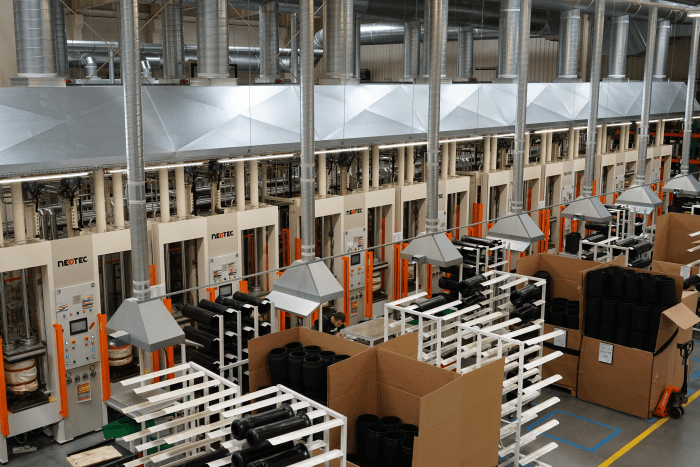 We are an expert on the automotive market due to our long experience in manufacturing of air spring suspensions and balance weights and our distribution network of equipment and materials for car workshops, and our training center. For 30 years we have offered high quality and a wide range of products. Over 5 thousand products on the offer. Repair materials and consumables, tools and workshop equipment. Global brands as well as our own brand, INVENTO recognized by our customers. The biggest Polish air spring producer for trucks and buses, with global reach. Proprietary manufacturing methods, reliability proved in 9,000,000 cycles and up to 3-year guarantee. 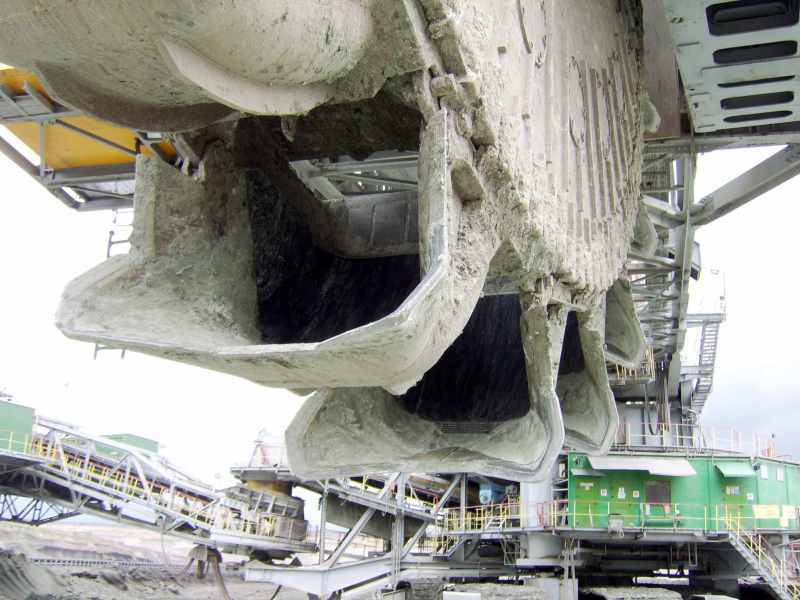 Our industrial offer includes materials for repairing and joining conveyor belts, rubber lining and other specialist materials and tools for mining industry, steel mills, heat and power plants, chemical plants as well as other sectors of industry. Our unique modern methodes used during training session. 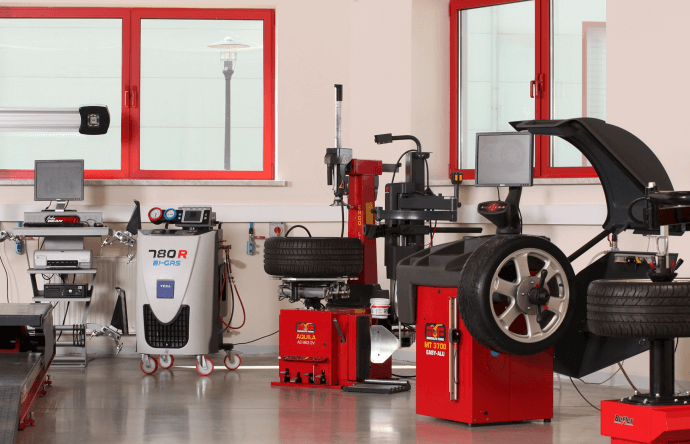 A wide range of training programmes, focus on tyre repairs, techniques of assembly and wheel balancing, design and repair of air-conditioning systems and TPMS sensors. IATF 16949:2016 is the global technical specification and quality management standard for the automotive industry created by International Automotive Task Force. We are happy to announce that TipTopol works according to IATF 16949 standard. 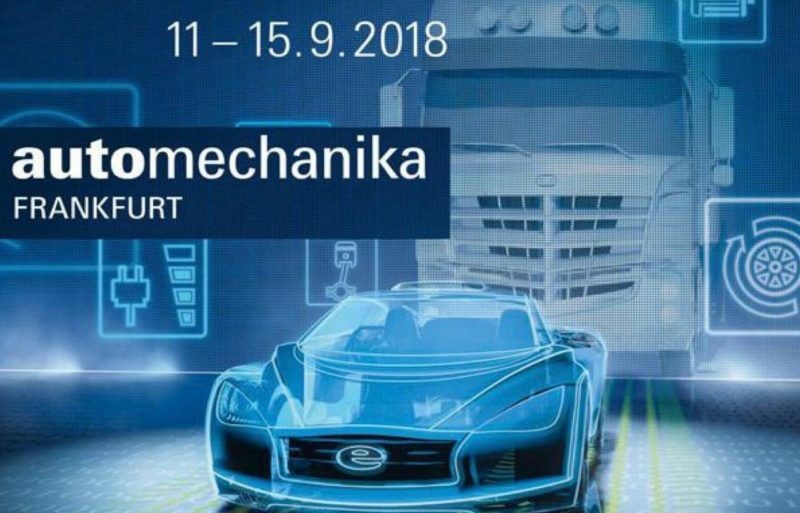 We are very glad to inform you that during one of the most important, european fairs - AUTOMECHANIKA FRAKFURT, dated between 11.09 – 15.09.2018 we will present our offer on two different booths. We would like to invite our existing current and potential customers to stands: C95, hall 6.1 – to see our air springs offer and K51, hall 8 – to check the offer for workshops. A special movie prepared to celebrate the 30th anniversary of the TIP-TOPOL company showing the company areas of activity in industry, automotive sector and air springs production. 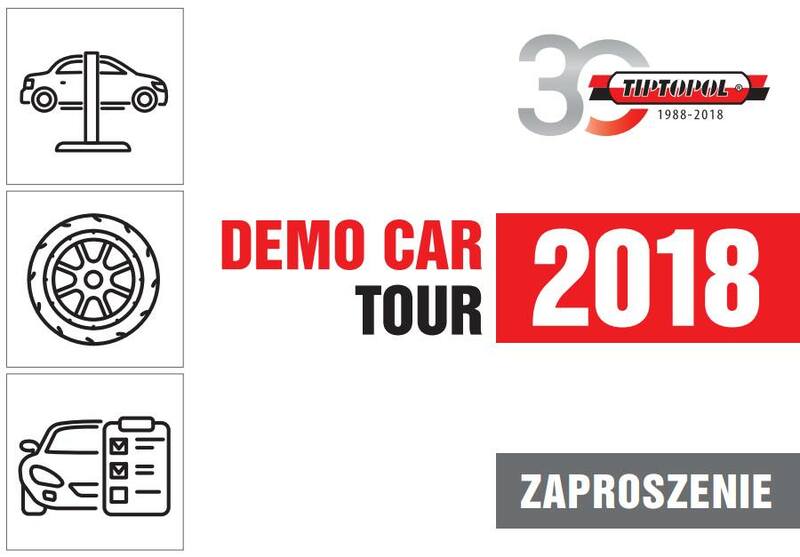 We invite you to Demo Car 2018. 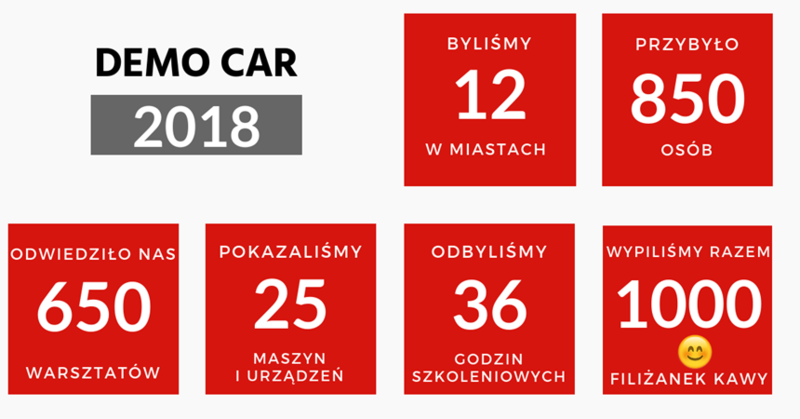 In September and October, DEMO CAR 2018 will be held in 12 Polish cities. We invite you to a free presentation of a workshop equipment and training. With great pleasure we inform that TIP-TOPOL has been awarded the Rowazna Firma certificate for 2018. Last week in our training center were technicians from Bridgestone. They had a two-day theoretical-practical training of TPMS systems. Jak prawidłowo wypełnić i złożyć coroczne sprawozdanie? W jaki sposób kontrolować ilość czynnika w aucie? 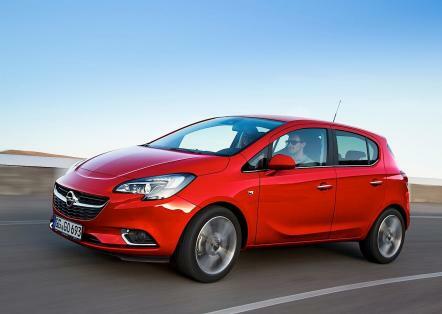 Celem Demo Car 2018 było przedstawienie naszej oferty produktowej jak najbliżej naszych klientów. Jaki jest efekt? Ponad 850 pracowników i właścicieli warsztatów z 650 firm , w tym prawie 100 nowych klientów odwiedziło nas w 12 lokalizacjach w całym kraju. Would you like to get some more information about our special promotions and new products on our offer? Just leave your email adress and we will keep you up to date!